Is your friend a self-proclaimed car enthusiast, never happier than behind the wheel? In that case the chances are they’ll love rally driving. Based in the centre of Wales, Phil Price is dedicated to providing anyone with the perfect introduction to this motorsport. Our Driving Experience Day Gifts could be the perfect way to make their summer complete. Indeed, our gift vouchers are fantastic for anybody who loves driving, cars and wants to try something new. This is the ultimate present for any occasion, from birthdays and graduations to weddings. What happens during one of our driving days? Our action-packed 7-hour day kicks off with a brief introduction to the sport, before moving onto plenty of heart-stopping driving. Our instructors will give them insights into the basics of navigation and timing before they take over behind to the wheel. We’ll then take them out on that practice stage, where they’ll spend the day creating slides and controlling them using the power of a Subaru rally car, with the instructor explaining approaches to the corners, braking techniques and driving lines. 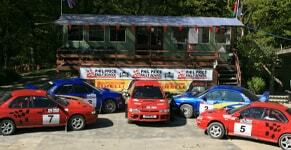 The day climaxes with an epic finale against other rally school competitors. 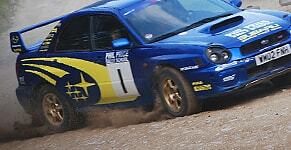 Our driving days are also brilliant for spectators, so you might want to come along. Why not discover more about our driving day gifts.